Pink Himalayan salt licks are of the highest bio-energetic quality and are packed with more than 84 trace elements and minerals. 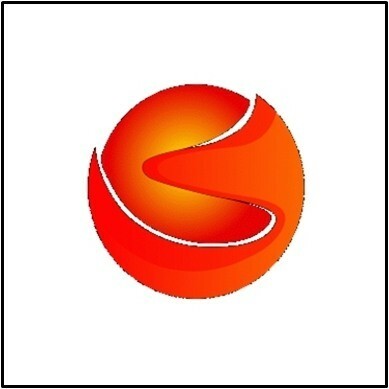 Because they are not industrially produced in any way, our lick stones not only retain more nutrients, but they are also much less vulnerable to moisture. They can be stored indefinitely, and they are very hard and solid which is much safer for animals because they cannot bite the salt off. Many of our earth’s four-legged animals, including elephants, instinctively migrate thousands of miles to find natural salt depositories for their valuable vitamins and minerals. 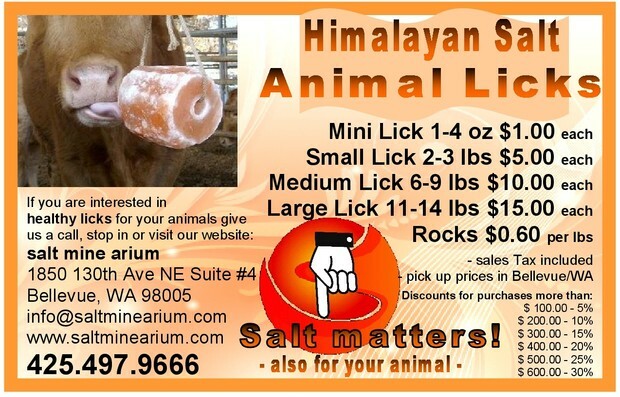 Now, you can avoid excessive shipping charges on these wonderfully nutritious and health-promoting licks, available for pick up in Bellevue! 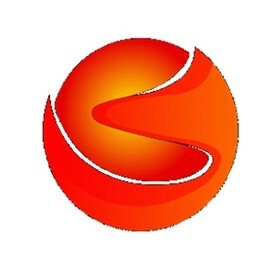 Please feel free to visit our salt rooms! 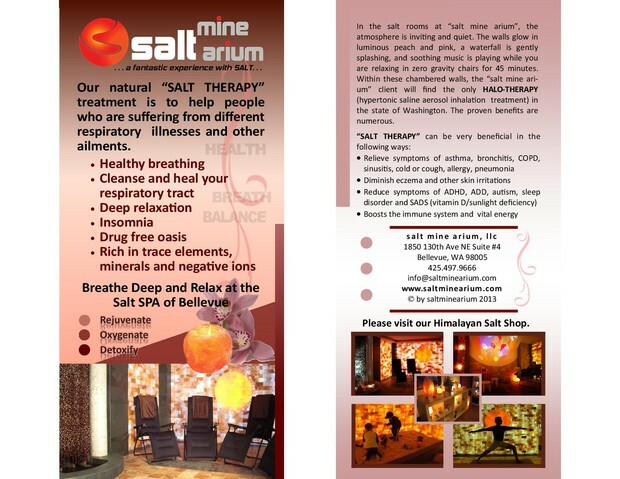 At the Salt Mine Arium – The Salt Spa of Bellevue, everything is about relaxation and holistic health; from the unique halotherapy (relief from respiratory/allergy issues) to color therapy, music therapy and zero-gravity recliners, all of one’s senses are encouraged to let go and enjoy the atmosphere of utter calm and beauty. Inside the illuminated pink salt brick-chambered rooms, the Spa client can passively relax with trickling brine waterfalls, a glowing sun and peaceful moon, and even a “salt box” for the enjoyment of youngsters and adults alike. The gift area features great prices on health-promoting salt items to take into your home, and our daily barrage of EMFs from cell phones, wi-fi, and household equipment becomes non-existent while inside our walls. We also host numerous holistic workshops and unique yoga classes!